Funeral service in Detroit Lakes goes back almost as far as the community itself. Records at the funeral home date back to February of 1904, when the funeral home was operated by Jesse Nunn. Mr. Nunn's firm was later acquired by Herbert Englund, who changed the name to Englund Funeral Home. During the early years, the funeral home was operated in conjunction with the Englund Furniture Company, and was located on Washington Avenue. Early employees included E. M. Bye, Erwin Nelson, B.J. Satran, Russell Munson, and Bernard (Bun) Munson. In 1935, Mr. Englund built a new funeral home at 904 Lake Avenue and operated the two businesses separately. In 1944, the businesses were purchased by John B. (Jack) Ferrin and Ralph W. Lindemann, who operated them until selling the funeral home to Ross and Clara Donehower in 1950. The furniture store continued operation in its same Washington Avenue location until closing in the mid 1970's. In April, 1955, the Donehowers were joined in business by Wayne and Vivienn Lance, and the firm was known as the Donehower-Lance Funeral Home until 1959 when MR. Lance left the firm to become Detroit Lakes City Finance Officer. Another major change occurred in 1961 when both Detroit Lakes funeral home sold their ambulances to Robert and Elaine Arnold, who founded Detroit Lakes Ambulance Service (now St. Mary's E.M.S.). Early employees of the Donehower firm included Lloyd Thorpe, Walter Byers, Eugene Kerckenbecker, and Joe Werlinger. In 1971, Mr. Donehower hired David Karsnia who had recently graduated from the Mortuary Science Program at the University of Minnesota. When Mr. Karsnia left Detroit Lakes in 1975 to move to Sauk Centre, Ernest Gieseke joined the firm. When Mr. Donehower retired in 1981, he sold the firm to Mr. Gieseke and Mr. Karsnia, who then returned to Detroit Lakes. 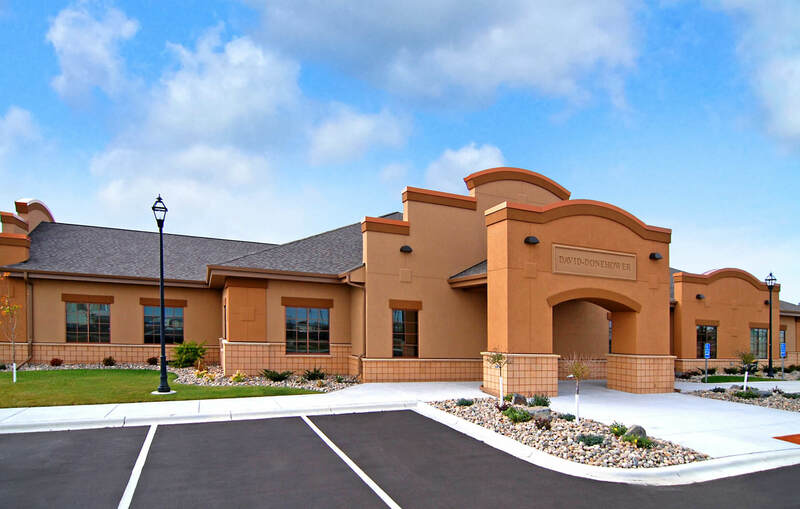 In 1984, the Giesekes purchased a funeral home in Greenbush, Minnesota and sold their interest in the funeral home to Mr. Karsnia. In 1985, the name of the firm was changed to David-Donehower Funeral Home. In 1997, Mr. Karsnia sold the firm to Thomas M. Vertin, long-time funeral director from Breckenridge, Minnesota. Mr. Karsnia continued to manage the firm, along with Alec Burnside, Eileen Lillis, Raymond Johnson, Merle Sagan, Dee Wayman, Walt Welle, Roland Sandman and Joe Heit. In 2006, David-Donehower lost a good friend and co-worker when Alec Burnside passed away. We will always remember Alec and hope to continue the quality service that he gave as a funeral professional to David-Donehower Funeral Home. Today the funeral home is operated by Licensed Funeral Directors, David Karsnia and Shawn Nygaard along with their wonderful support staff.